Welcome! It has been a joyful journey creating these programs. I love seeing the transformation in my clients. You inspire me to continue to create ways to bring balance and meaning to your daily lives. Bringing mindfulness to your life will bring you joy & contentment, health & relaxation, success & prosperity. I have explored many disciplines of meditation and, with the soul of an artist, most closely resonate with guided meditation & creative visualization. Using the mind's eye, we can create anything. We can resolve current and past conflicts. And pave the way for new & brighter circumstances. Our imagination is an awesome tool! The power of thought is not to be underestimated. You do create your reality. In our programs, we do just that. Resolve current and past roadblocks, clearing the way for personal transformation. Are you ready to live the life you were meant to live? Let me guide you on your path. ​Alana Cahoon serves professionals to transform their lives & relationships by identifying personal development goals and creating a solid foundation for work flow and life balance. Her center for mindfulness assists professionals in mindfulness training to strengthen their leadership skills, leap into entrepreneurial endeavors, and to manage transitions. 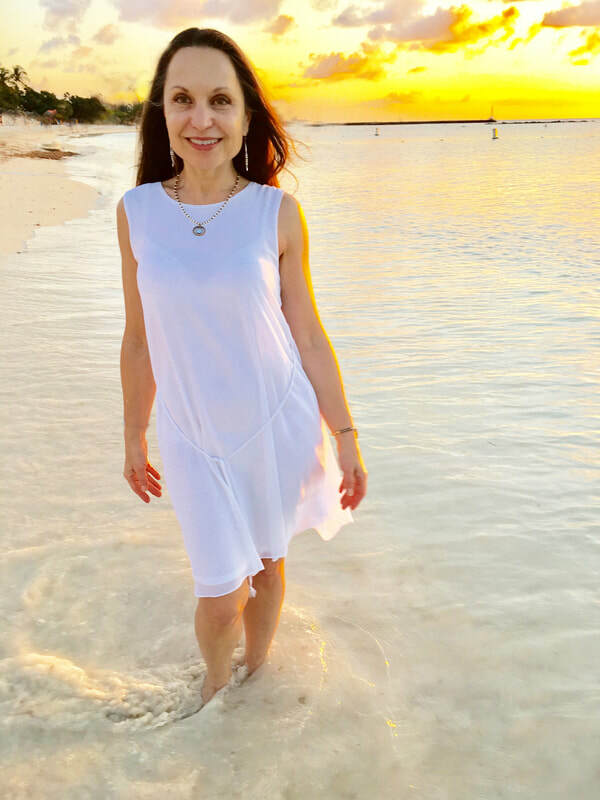 Ms Cahoon began her studies in Holistic Health at the New York Open Center in NYC, and is certified as a Natural Health Professional with concentration in Nutrition; Reiki Master Teacher in several lineages; and Hatha Yoga Instructor. She is currently an apprentice of Cyndi Dale and student of Lama Tsultrim Allione. One of her fondest moments was organizing the visit of Buddhist Monk & Nobel Peace Laureate, Thich Nhat Hanh in NYC. As a business professional, Alana has worked with over 100 entrepreneurs and professionals. Her past experience as program director of a technology business incubator gives her a unique understanding of what it takes to start and run a business, project, and team. Her expertise lies in marketing, communications, creative design, executive and leadership coaching. One of her coolest endeavors was creating a semester entrepreneurship program for a cohort of Romanian professors visiting America. As an artist, Alana has recorded numerous CDs of original music and creative covers. These can be found on Amazon & iTunes. Her voice has been described as sultry, angelic & bluesy. She is a graphic designer, videographer, photographer, painter, dancer & actress. Her Bachelors Degree in Theatre led her to NYC where she performed Off-Broadway and in the Jazz & Progressive RockRock club circuit. One of her favorite theatrical experiences was going on tour performing Moliere. Born & raised in Rochester, NY USA, Ms Cahoon has studied, performed and resided in the UK, NYC and Dubai, UAE. She loves California and exploring new territories. Hong Kong, Paris and the Dominican Republic are a few favorites.